Young or old kayaking is one of the most accessible watersports that offers something for everyone. Whether you are just looking to see wildlife and great views, improve your fitness or experience the thrills of going down white water kayaking is for you. Christchurch Harbour in Dorset offers some of the most stunning but safe locations in which to learn. At ShoreSports we train people to use their kayaks as effectively and safely as possible giving them the confidence and ability to go out on their own. Often the best way to do this is by following the BCU syllabus, which gives us clearly defined and obtainable objectives. 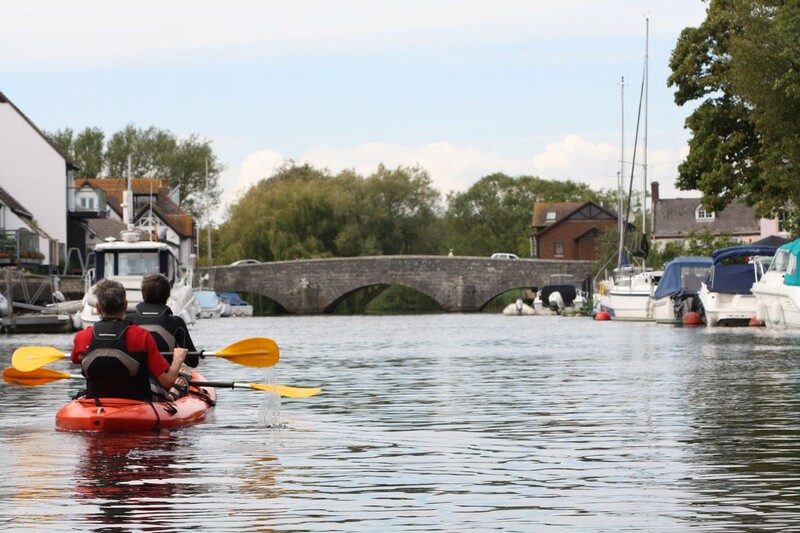 As a BCU Level 3 Sea Kayak coach Nick has the skills and qualifications to help you go from the complete basics of kayaking up to more advanced manoeuvres and strokes, such as sculling for support and the much coveted eskimo roll. We run both BCU 1 star and 2 star courses as and when we have a need, so feel free to ask us for more details or book the dates that you want. To redeem a BCU certificate a cheque for an extra £5 Test Fee will need to be sent to the BCU along with the Star Award Pass Slip. Please contact us for more information.